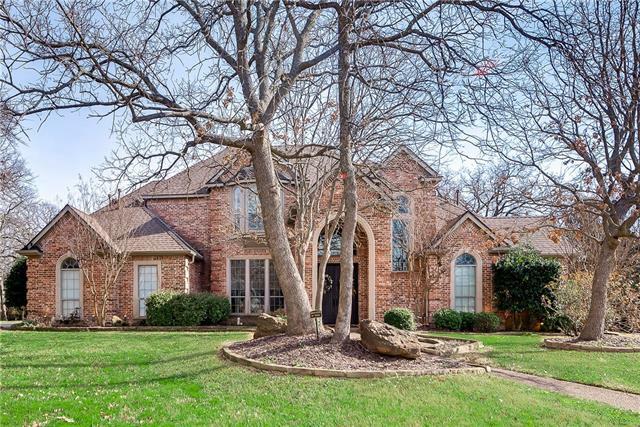 All Fox Hollow Add homes currently listed for sale in Southlake as of 04/20/2019 are shown below. You can change the search criteria at any time by pressing the 'Change Search' button below. "5 bedroom, 5 bath, custom home built on over an acre of heavily treed beauty. Property has a beautiful swimming pool with hot tub, water well for irrigation, a pond with large waterfall, and an outdoor entertaining area with fire pit. Inside has open concept floor plan -great for entertaining. Master bedroom and guest room are downstairs while upstairs you will find 3 additional bedrooms all with en-suite baths. Also, upstairs is a game room and media room with wet bar. 5 car garage (3 attached"